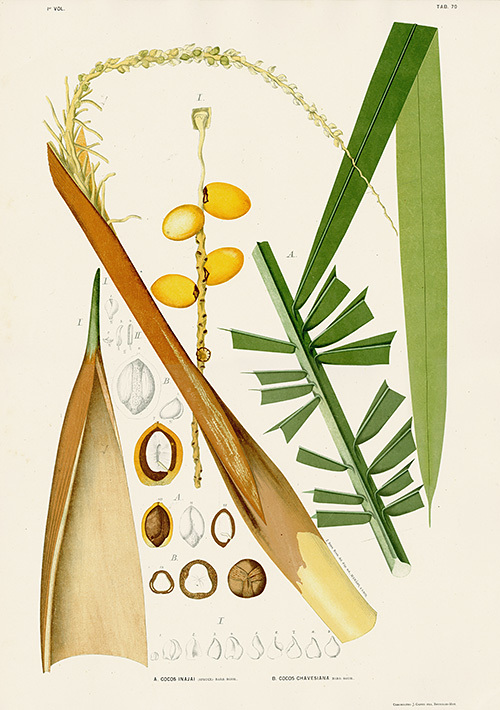 We are thrilled to have secured a top selection of Rodrigues' Sertum Palmarum Brasiliensium. 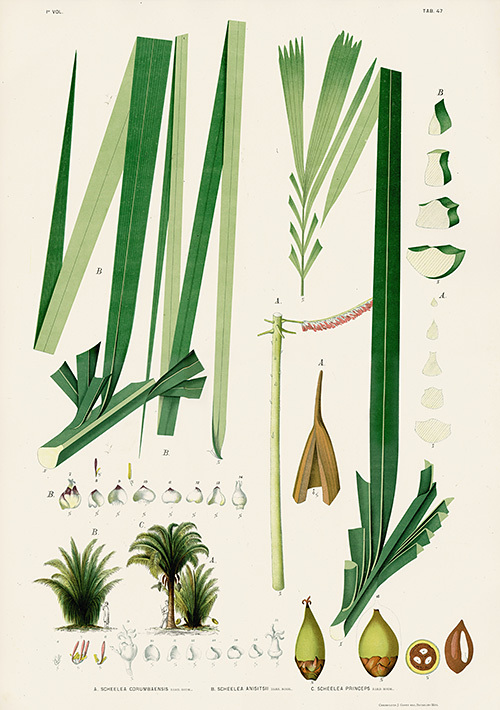 Illustrations from a major study of Brazilian palm trees that originally encompassed two volumes and 174 plates. 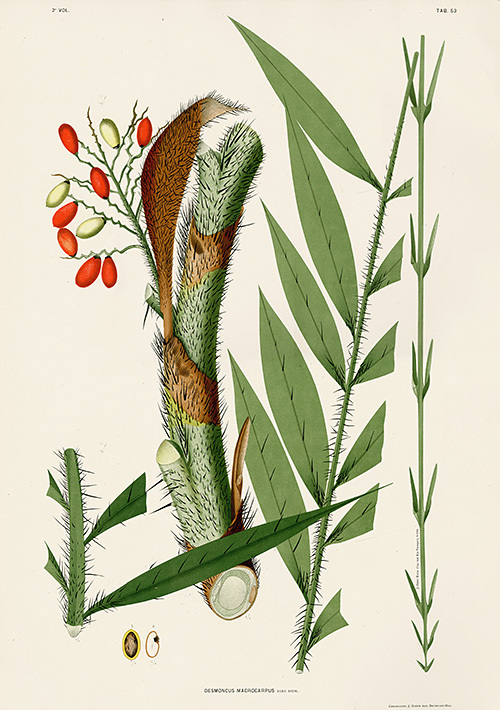 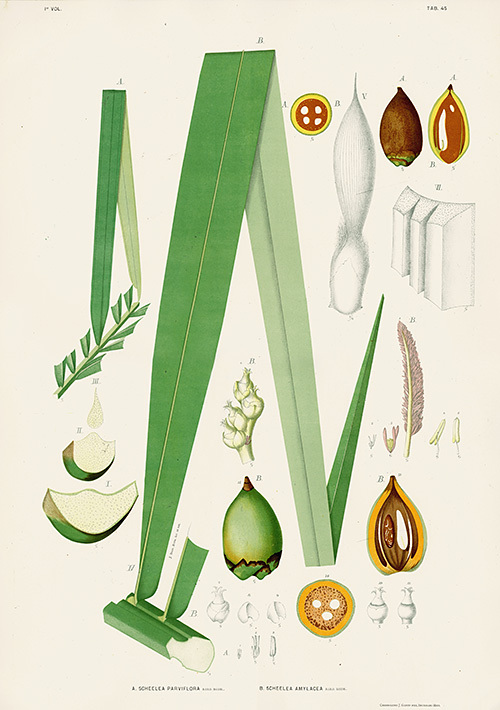 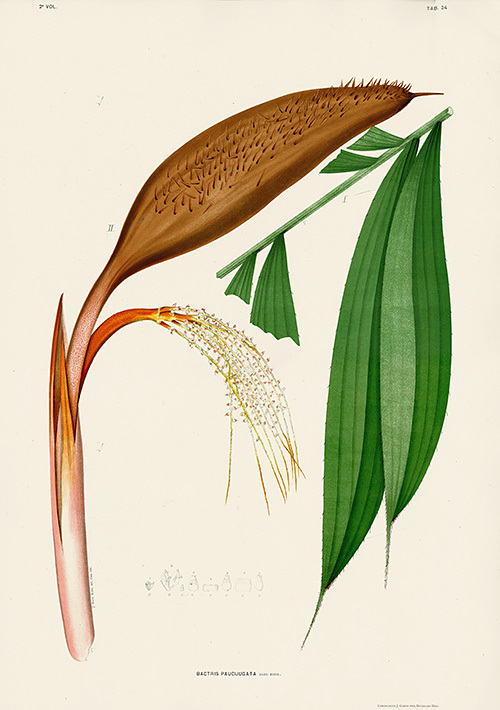 Rodrigues was a native of Rio de Janeiro, a distinguished researcher, author and scientific illustrator and an important figure in the study of Brazilian botany. 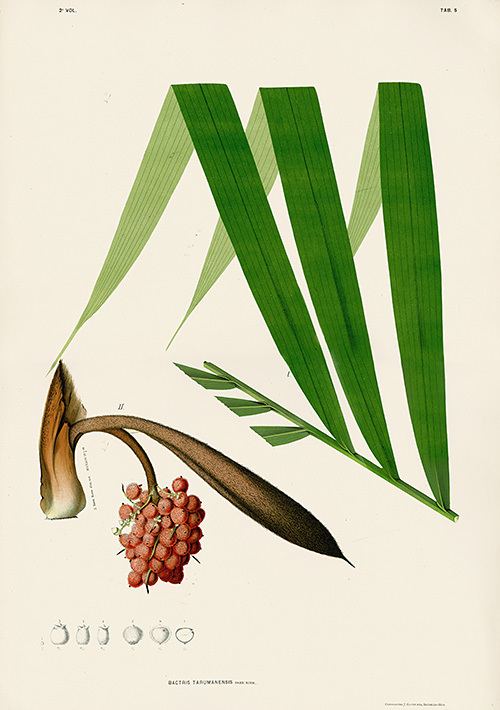 Interested in the natural sciences, he collected insects and plants and became an art professor specializing in botany. 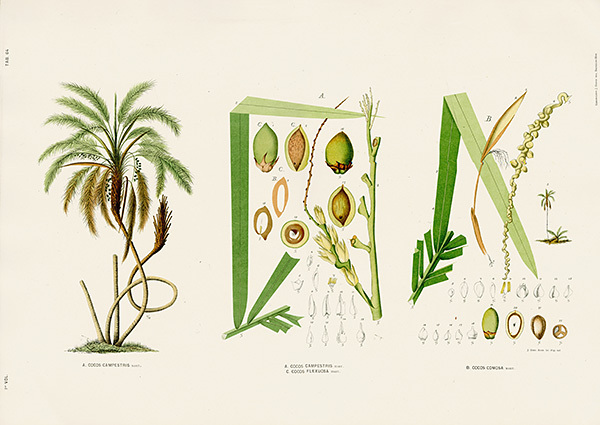 In 1883, he organized and directed the Botanical Museum in Manaus. 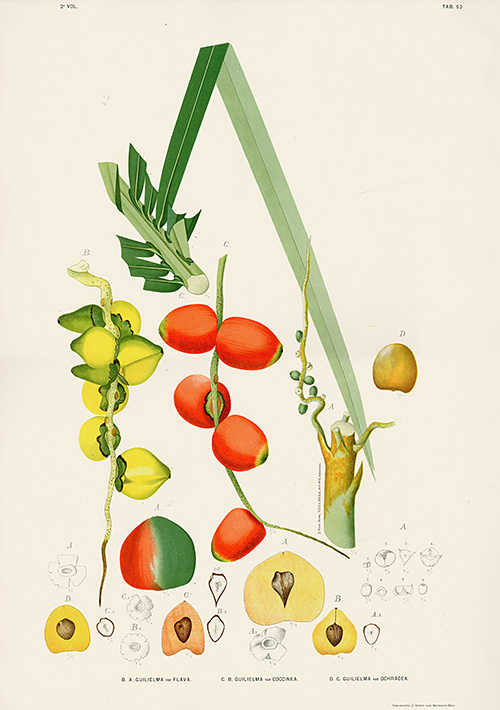 He then directed the Botanical Garden of Rio de Janeiro, a position he held until his death in 1909. 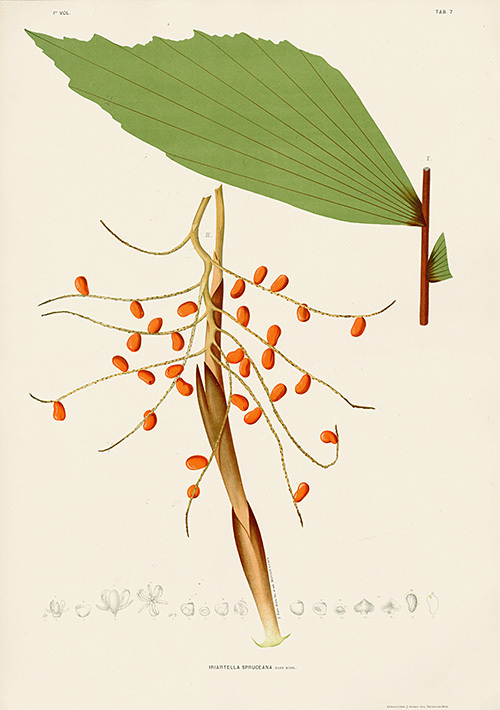 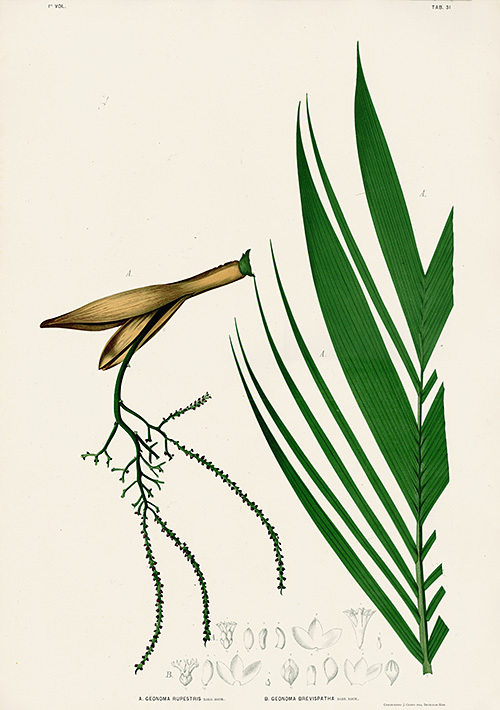 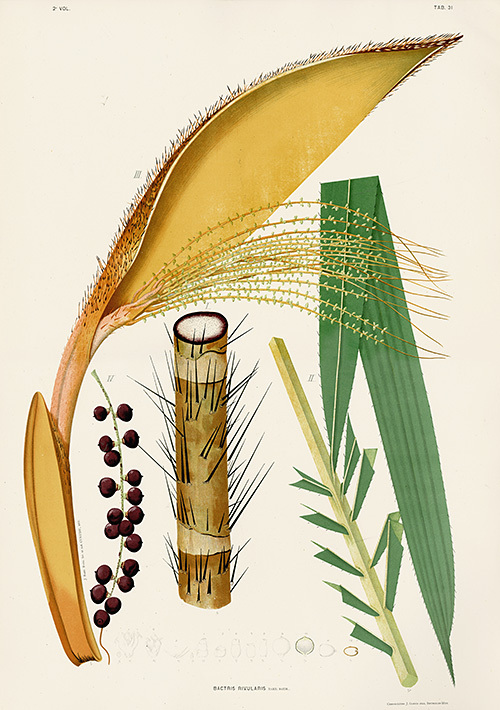 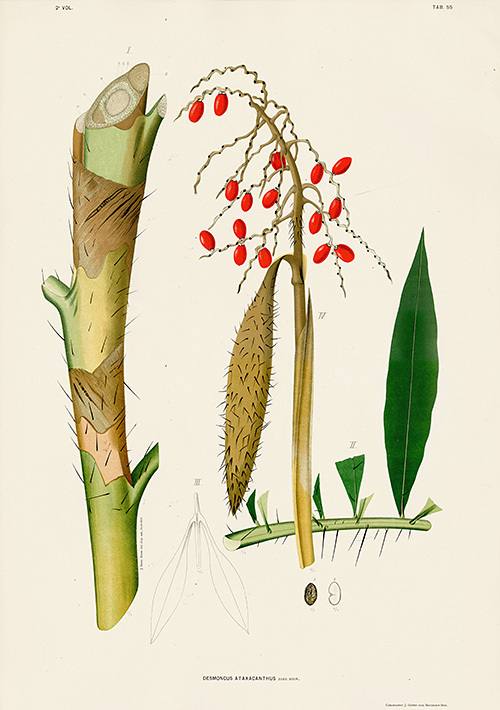 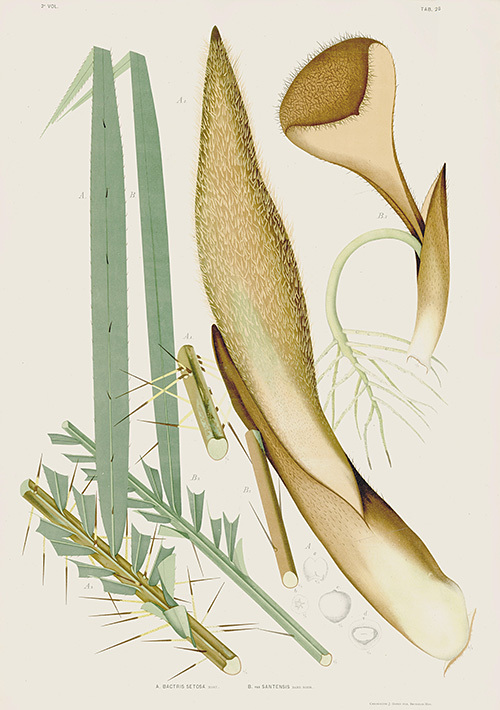 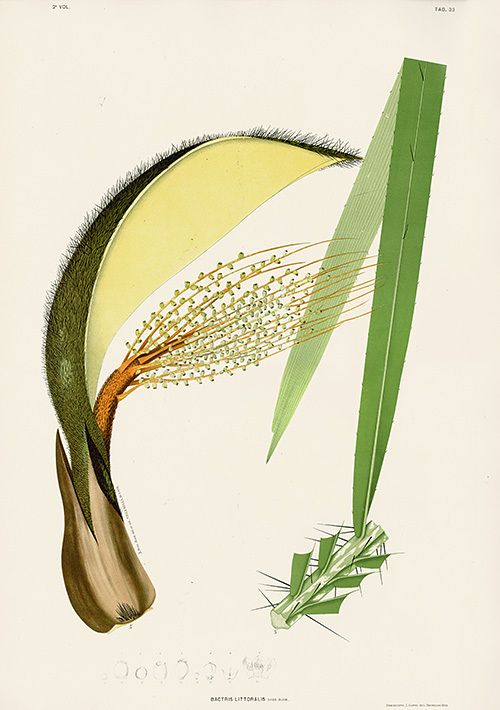 Before he began this fine work on Palms, Rodrigues made some 800 plates on orchids of which he never published although many of these drawings are on display at the library of the Rio de Janeiro Botanical Garden. 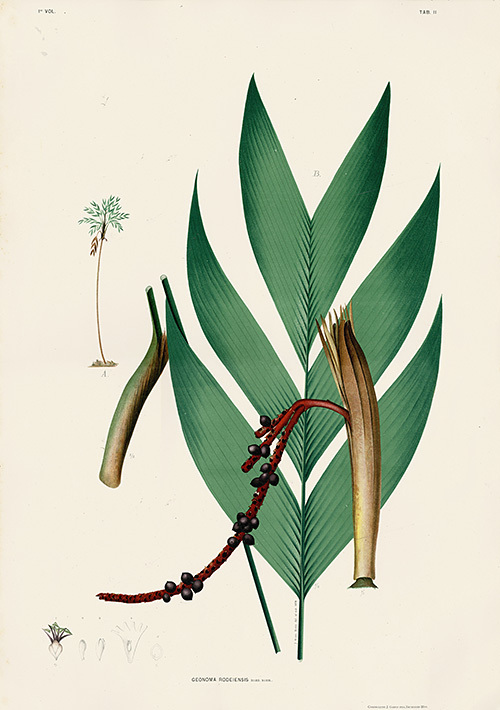 Rodrigues spent over 30 years of his life traveling through Brazil and collecting specimens before he traveled to Brussels Belgium to publish these two volumes. 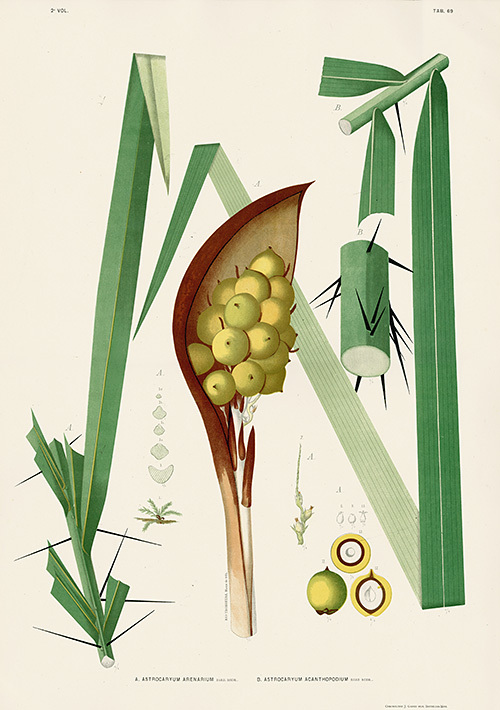 Some of the worlds best botanical chromolithographers at the time lived in Belgium and upon examining the masterful workmanship in these prints you can see why he traveled so far to get his illustrations properly published. 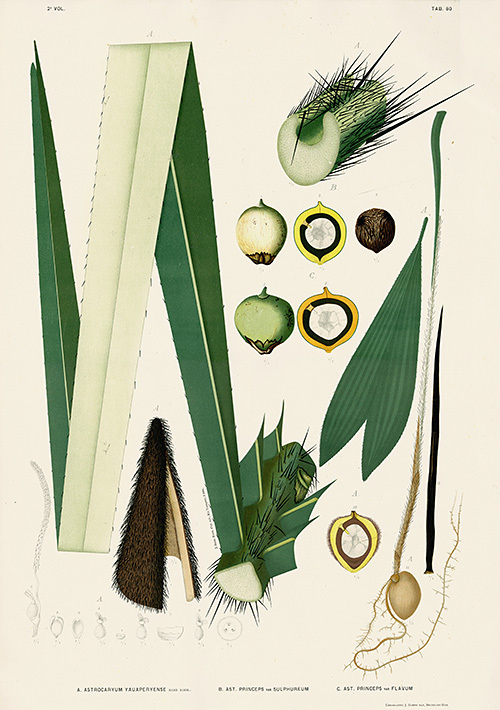 This collection of chromolithographs is Rodrigues' greatest effort to demonstrate the beauty and tranquility of the Palms of Brazil. 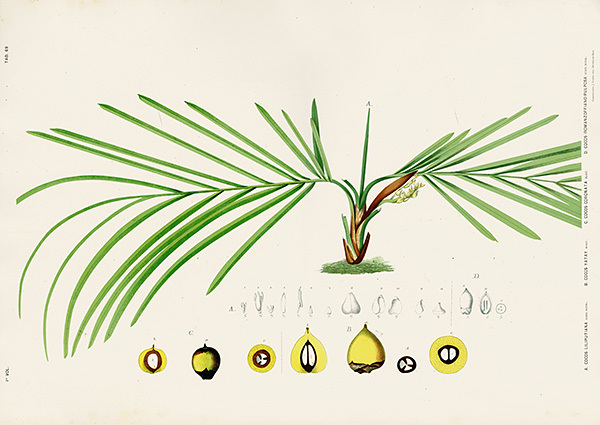 From the smallest to the greatest, from the beautifully symmetric leaves to the towering trunks, this work is a palm lovers dream.